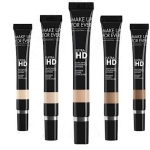 The new Brow Show products from MAKE UP FOR EVER are just what we need to get brows in shape. I like to keep my brow routine simple…as long as they’re groomed and shaped, I prefer a low-maintenance approach. These days, the bold, very defined brows on Instagram seem to be the look that many are attempting, but for me, it’s just too much. The Brow Pencil – this classic pencil allows you to easily define brows. Available in five pigmented shades, the formula blends waxes and pigments to help create a natural look. Finish with Brow Gel to hold brows in place. Super easy! The Brow Gel – is a tinted brow groomer that holds brows in place. The asymmetric spoolie brush’s flat side combs brows, and the angled side coats hairs for perfect, natural-looking results. I found that it does take a few tries to find the technique that gives the ideal shape. 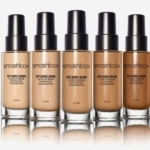 The formula is not sticky, and comes in five shades, including transparent. The Brow Liner – is like a liquid eyeliner, only for brows. 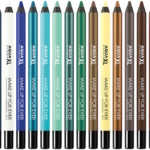 The precision tip is shaped like a liquid eyeliner, and the formula is highly pigmented. I admit, this one was the most challenging for me to use. If you’re looking for “the Instagram Brow”, this is the product you want to use for the boldest look and most definition. 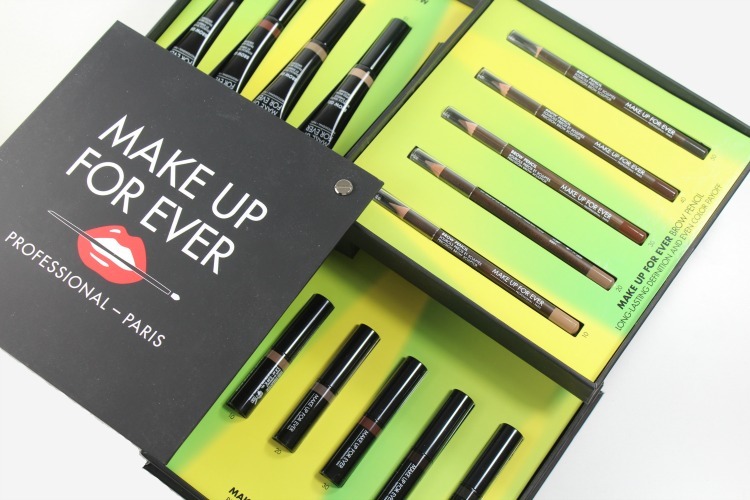 You can find these and more MAKE UP FOR EVER brow products at Sephora, MAKEUPFOREVER.com and in MAKE UP FOR EVER Boutiques. 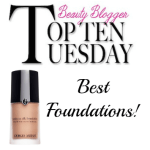 What are your favorite grooming products for your brows? Disclosure: Some samples have been provided for editorial consideration, product testing, photography and review. Affiliate links have been used in the post, which means a small commission is earned when you purchase through the site.